This page compiles publicly accessible materials from cases in which competency was litigated. 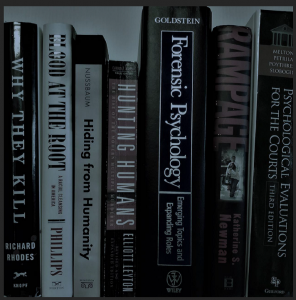 For training purposes, it’s hard to beat real-life reports and videos, especially from high-profile or otherwise fascinating cases. Here we’ve got everyone from Ted Kaczynski (the Unabomber) and boxer Mike Tyson to Jose Padilla (the “Dirty Bomber” suspect) and Lynette “Squeaky” Fromme, infamous for trying to murder a U.S. president. 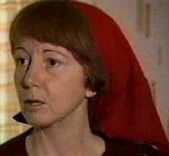 Lynnette “Squeaky” Fromme’s competency was evaluated after she sought to represent herself in the 1975 attempted murder of President Gerald Ford. Under the legal standard at the time, one had to be nearly “a babbling idiot” to be found incompetent, in the words of the prosecuting attorney. In May 2014, nearly 40 years later, a 97-minute audiotape was released of her competency examination by psychiatrist James Richmond, who found her competent both to stand trial and to represent herself. Fromme boycotted much of the trial after the judge refused her request to call Charles Manson as a witness. She was sentenced to life imprisonment. She was paroled in 2009 after serving 34 years in prison. My blog post on the case (with additional links) is HERE. 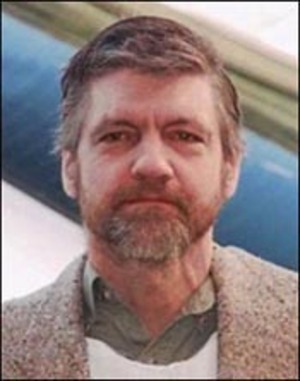 Theodore Kaczynski objected to his attorneys’ strategy of using a mental illness defense at his trial, so he asked to represent himself. The court appointed Bureau of Prisons psychiatrist Sally C. Johnson, M.D. to evaluate the confessed Unabomber’s competency to stand trial. Dr. Johnson concluded that Kaczynski was competent. The news media were able to get her 1998 report unsealed, although some portions are redacted. Ultimately, the judge found Kaczynski competent but denied his motion to represent himself as untimely. Kaczynski pleaded guilty and was sentenced to life imprisonment without the possibility of parole. He later appealed, unsuccessfully, on the grounds that his plea was coerced. In an eloquent dissent, 9th Circuit Justice Justice Stephen Reinhardt discussed the tensions between the right to represent oneself and the constitutional guarantee of a fair trial. “The government [was] spared the awkwardness of pitting three experienced prosecutors against an untrained, and mentally unsound, defendant, and conducting an execution following a trial that lacked the fundamental elements of due process at best, and was farcical at worst,” he wrote. 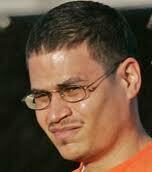 José Padilla, the suspected “dirty bomber,” was detained for almost four years in a military prison as an “enemy combatant.” His attorneys claimed that during those years he was tortured, subjected to stress positions and forced hypothermia, and administered mind-altering drugs. They argued that as a result of his torture, he suffered from posttraumatic stress disorder (PTSD) that rendered him unable to assist counsel in his defense. A judge ultimately rejected the incompetency bid. He was sentenced to 17 years in prison for offering material support for terrorist activities. 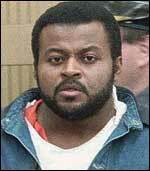 Thomas Shay was one of two men convicted in a 1991 bomb explosion that killed one Boston police officer and maimed another. Prosecutors contended that the bomb was intended for Shay’s father. Shay was a troubled 20-year-old from an unstable background when he underwent a competency evaluation at Bridgewater State Hospital in Massachusetts. Although he found Shay immature and self-centered, psychologist Paul G. Nestor, Ph.D. did not see any signs or symptoms of a severe mental disorder or cognitive impairment that might render him incompetent. 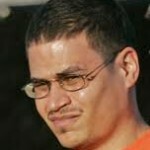 Shay pled guilty and served 10 years, after which he has continued to be in and out of trouble with the law. Co-defendant Alfred W. Trenkler, the subject of a personal crusade by a former lawyer named Morrison Bonpasse who has written a book about the case, remains in prison. There are many types of competency outside of the criminal arena. Indeed, in some professions — law enforcement, medicine and commercial aviation, among others — one must also be fit (or competent) to practice. 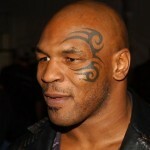 In 1998, at the behest of the Nevada Athletic Commission, Mike Tyson underwent a series of evaluations to determine whether he was mentally fit to box. Due to a Nevada Supreme Court ruling, this is one of the most extensive sets of publicly available competency resources. As others have noted, there is an irony to asking psychologists, psychiatrists and neurologists to determine whether someone “is sane enough to compete in a sport which involved inflicting temporary brain damage on your opponent.” I have located and compiled the reports of Ronald Schouten, MD, JD (summary evaluation), Jeremy Schmahmann, MD (neurology), David Medoff, PhD (clinical psychology) and Thomas Deters, PhD (neuropsychology). 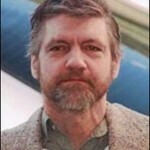 John Salvi III carried out two fatal attacks on Massachusetts abortion clinics in 1994. Prior to his trial, a four-day competency hearing was held. Three experts, including Dr. Phillip Resnick, testified for the defense, saying that Salvi was mentally ill and obsessed with an “international conspiracy” against Catholics. The prosecution’s expert, Dr. Joel Haycock, who spent eleven hours with Salvi during the defendant’s 60 days under observation at Bridgewater State Hospital, testified that he found no mental disease and believed Salvi was competent. Partial transcripts of the hearing can be found at a PBS Frontline web page, “Murder on Abortion Row.” Salvi was tried and convicted. He was found dead in his prison cell not long thereafter. Only a small proportion of defendants referred for evaluation are found incompetent to stand trial. Most are floridly psychotic. It is a rare defendant who is found incompetent on the basis of depression, no matter how severe. Attorneys declared a doubt as to Steven Hayes’ competency when the suicidal defendant declined to participate in jury selection at his trial. He was on a trial in the high-profile murder of a mother and her daughters from a prominent Connecticut family. The competency evaluation was a bit unusual in that it was conducted by a team of mental health professionals. Mr. Hayes was found competent, and in early 2011 was sentenced to die, as he wanted. Although competency to stand trial is the most commonly assessed competency in the criminal arena, competency to be executed is another type. In the 1986 case of Ford v. Wainright, the U.S. Supreme Court ruled that it is cruel and unusual punishment to execute someone who does not understand why he is being put to death. Scott Panetti, a Texas man with schizophrenia, thinks the government wants to kill him to stop him from preaching the gospel. 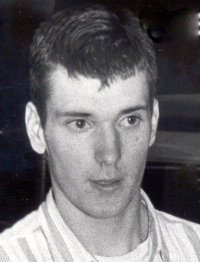 Panetti was allowed to represent himself at trial despite being floridly psychotic. Wearing a purple cowboy suit and mimicking a John Wayne character called the Ringo Kid, he blamed the 1992 killings of his parents-in-law on another personality named “Sarge.” He tried to subpoena Jesus Christ, the Pope, and John F. Kennedy. 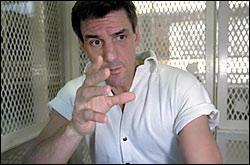 In 2008, a U.S. District Court found Panetti competent to be executed. The case has undergone numerous appeals, including to the U.S. Supreme Court. Although I am not aware of any publicly available competency reports in this case, an online video produced by the Texas Defender Service is educational. 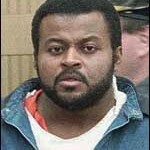 Colin Ferguson, on trial for his Long Island Railroad massacre, rejected the insanity defense proposed by his attorneys. After a report from a court-appointed psychiatrist, the trial judge found Ferguson competent to stand trial and allowed him to represent himself. [Note that this outcome may have been different today, in light of the U.S. Supreme Court’s 2008 opinion in Indiana v. Edwards.] At trial, Ferguson was clearly delusional, for example arguing that the 93 counts he was charged with were related to the year 1993, and had it been 1925 he would have been charged with only 25 counts. 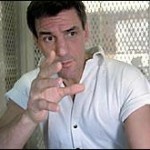 He was convicted in 1994 and sentenced to 315 years in prison. Although the competency report is not publicly available, as far as I know, Court TV videotaped the entire trial and released a VHS tape, copies of which can still be found for purchase. The case of Ralph Tortorici provides another classic example of what happens when an incompetent defendant is allowed to sta nd trial. 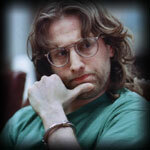 Tortorici was psychotic in 1994 when he injured a fellow student during a hostage takeover at the State University of New York. He underwent competency restoration treatment and was eventually deemed competent to stand trial despite remaining highly delusional. On the second day of jury selection in his insanity trial, the prosecutor hired an expert to evaluate Tortorici’s sanity. (Whereas legal competency pertains to one’s present abilities to understand and reason, sanity refers to one’s mental state at the time of a past offense; persons acquitted as insane typically go to locked psychiatric hospitals.) Upon meeting with Tortorici, Dr. Lawrence Siegel realized the defendant was floridly psychotic and incompetent. He wrote a letter to the prosecutor explaining the need to defer a sanity assessment until the defendant could “participate in the examination in a rational and competent manner.” The prosecutor presented this letter to the trial judge, who ignored it. Tortorici was tried in absentia, convicted on all 11 counts after just an hour or deliberations, and sentenced to prison. Two months before the U.S. Supreme Court was slated to hear his appeal, he was found dead, hanging from a bedsheet in his cell. Many thanks to Denis, Steve, Frank, Eileen, Christina, Ronna and everyone else who helped with this project. This page was most recently updated in February 2019; please let me know if you find any broken links, and especially if you know of other publicly available competency materials that might be added.